Las Vegas-based startup Tracky has spent the last year, heads-down, building a social collaboration platform that aims to bridge the gap between your personal and professional networks. Today, the startup is announcing that it has raised $1 million in seed funding from a few Canadian super angels, Vortaloptics, and family and friends. The startup will be debuting in private beta at SXSW, where it will be showing off a product that is part Dropbox, part BaseCamp, Wonderlist and Chater. In other words, Tracky is offering a platform that offers collaboration between groups, people and project discovery, secure online chat, group task management, and quick access to cloud-based documents. From that description, the startup will no doubt have its work cut out for it with no shortage of enterprising startups looking to tackle the same space. What Tracky does have going for it is the ability to help both individuals and companies organize their to-do’s, work projects, and social connections in a single dashboard. The startup is obviously trying to offer the same kind of all-in-one solution that Producteev has become known for — one that both works for busy freelancers who want to organize their lives, or startups managing their teams — and picks and chooses from the most popular tools in the productivity and collaboration space, like to-dos, shared calendars, live chat, task management, file sharing, community building, etc. The basis of Tracky, as one might assume, are “Tracks,” which the team describes as “tweets for do-ers,” or in other words short blurbs of information that others can comment or act upon. 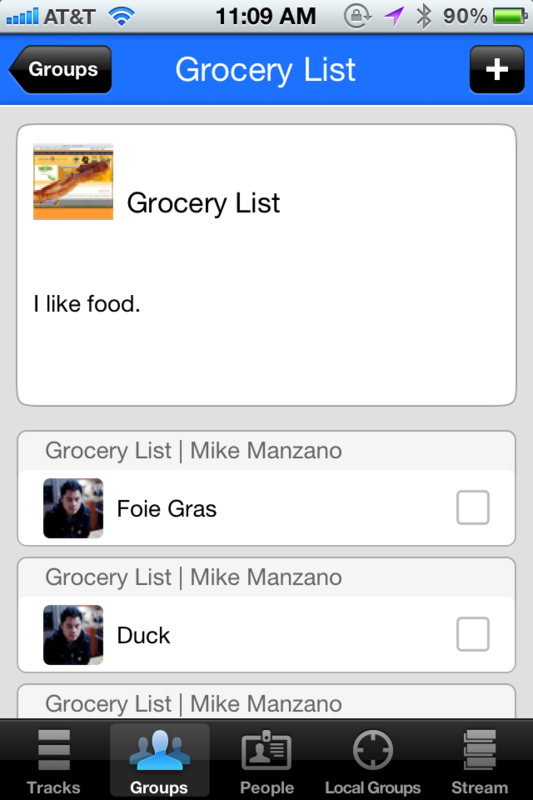 Users can store anything in a Track, whether it’s a quote they want to share with friends or co-workers, or a task that needs to get done. 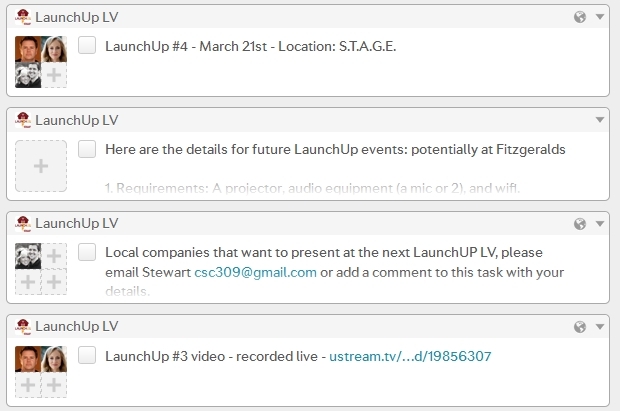 These Tracks live in a livestream, where users can click on any track icon to get details on deadlines, attachments, with individual tracks being color-coded by priority. Sounds a lot like Yammer doesn’t it? Users can also specify which team members they want to allow to view tracks or projects, giving them as much or as little visibility as the occasion demands. On top of that, Tracky throws in drag-and-drop calendar, a point system that keeps track of task completions (for an element of gamification), milestone tracking, cloud storage and syncing, along with the ability to search for old tracks by group name, keyword, tag, date, etc. Tracky is also tomorrow releasing an app for iOS that allows users to access, creae, and check off tracks while on the go, access groups, people you’re following, leave messages, and find local groups. To the startup’s credit, they’ve packed a lot into their platform, and there’s a lot here that will be familiar to users of enterprise collaboration and productivity tools — too many to name. Wonderlist, Asana, Do.com, and Basecamp all come to mind as potential competitors, but Tracky Founder and CEO David Gosse says that he thinks the startup’s ability to connect with anyone, anywhere, along with being able to work privately but post information publicly will be a leg-up for the service, allowing it to become a marketing and communication tool when you want it to be. Public tracks enable people to come in an actually engage with the content creators, while private tracks remain unseen. While others in the space use the term “social collaboration” to describe their products, the CEO says, they really only allow users to communicate with the other people in their company. Tracky wants to facilitate more open collaboration so that users can brak out an communicate with anyone on the platform, whether for business, project management, or to plan a road trip. That all being said, obviously in this game it’s all about being cross-platform and offering a UI that is simple, user-friendly, mixed with those collaboration and task management features that just work. No easy feat, and although the startup looks like they’re off to a great start, and with its unlimited plan pricing at $5 and a free iOS app there’s not much of an expense barrier. The startup certainly has a long road ahead, with plenty of competition to boot, but there’s plenty of room if they can do groups and public/private right. For readers interested in checking out Tracky in action, the startup is providing 50 free beta invite codes, which you can redeem by using “TCROCKS” on its homepage. You can find Tracky at home here. What do you think, readers, do you like what they’re cooking?